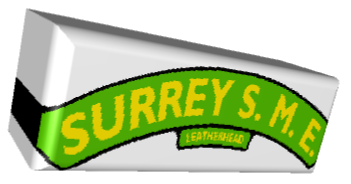 Welcome to The Surrey Society of Model Engineers. We are a society for anyone interested in model engineering, although we mainly concentrate on miniature railways. The club grounds are situated in a beautiful part of Surrey, close to the river mole at the lower end of Leatherhead. Our extensive tracks feature both ground and raised level, in many gauges, with a variety of different locomotives & rolling stock. Our 320 metre long Jubilee extension opened on the 4th June 2012, so giving a longer ride on every Public Open Day. We hold regular open days for the public to come and enjoy rides on our steam & electric trains Tickets can be purchased from our Ticket Office, (there is no booking in advance) £1.80 per ride or our multi ride discount tickets 3 rides for £5.00, 8 rides for £10.00. On site in our amenity block , you can purchase light refreshments which can be enjoyed inside or at our picnic tables. Also within the amenity block are Ladies and Gents toilets. We expect our Meadow Field will be available for parking on Good Friday, subject to ground conditions, from 10.30, gates will close at 4.30. PLEASE NOTE, Mill Lane now has a 2 metre height restriction barrier. ONLY Emergency Vehicles are admitted. Town car parks, which are within easy walking distance. (Most do not charge on Sundays or Bank Holidays, but please check the charging board at the car park).